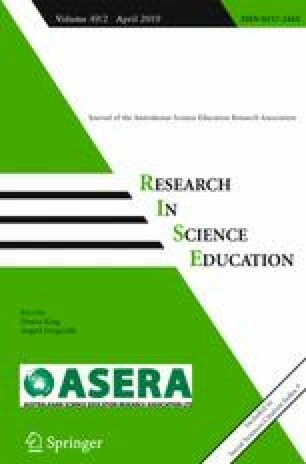 This study aimed to explore the effect of peer coaching on science teachers’ practice and their students’ scientific competencies. The mixed method approach and static group comparison design were adopted. The participants in this study consisted of four science teachers and 132 high school students. The results showed that the students in the peer-coached group teachers’ classes demonstrated more positive perceptions of their teachers’ teaching practice than those in the comparison group. The students in the peer-coached group teachers’ classes outperformed their counterparts in terms of their scientific competencies. From the teachers’ perception, peer coaching workshops encouraged them to use science literacy-based instruction and improve their assessment knowledge. These workshops also guided them to carry out reflections and provided them with the support and opportunities for interactions. These results indicated that the peer coaching model may improve science teachers’ teaching practice and their students’ scientific competencies. The work reported here was supported by the Ministry of Science and Technology, Taiwan, under grants MOST 104-2511-S-110-013-MY3. The authors also greatly appreciate the valuable suggestions of the journal reviewers and editors. Barendsen, E., & Henze, I. (2017). Relating teacher PCK and teacher practice using classroom observation. Research in Science Education, Online First. https://doi.org/10.1007/s11165-017-9637-z. Gess-Newsome, J., Taylor, J. A., Carlson, J., Gardner, A. L., Wilson, C. D., & Stuhlsatz, M. A. M. (2017). Teacher pedagogical content knowledge, practice, and student achievement. International Journal of Science Education. https://doi.org/10.1080/09500693.2016.1265158.